Comfort and style as seen on a Jacksonville street last month. Here’s a question that nobody’s asking: What was wrong with the shape of cars in the 1930s that they don’t make them like that anymore? 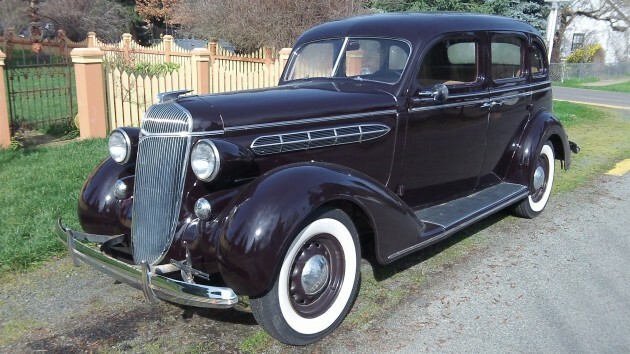 For convenience and style, it’s hard to beat this 1936 Chrysler. Or so you would think. But getting in and out of the low-slung sedans or coupes now in use? That’s not so easy. It requires major contortions. And it gets harder the older you get. By contrast, to step into a beauty like this 79-year-old Chrysler, all you had to do was to open the door and sit down. As for the trunk, once you got it open there was little chance you would slam your head into the lid when getting something out or putting something in. The cars were narrower than today, which accounts for the slim traffic lanes on bridges built during that era. On the other hand, what’s wrong with togetherness? 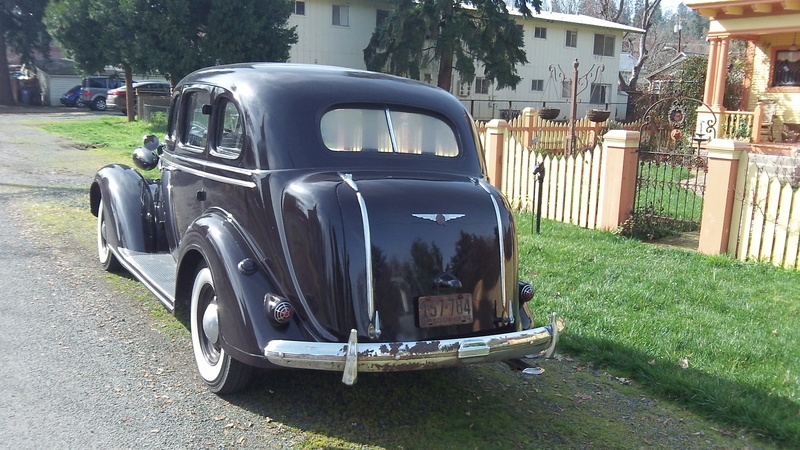 The automobiles from those years look top-heavy, so you probably had to be careful in the turns. But again, what’s wrong with being careful or slowing down? I agree with you on the beauty of older cars. Thank goodness for old car clubs where enthusiasts preserve and drive these beauties. I expect it comes down to a few items. Manufacturing of the older cars was more labor intensive I expect. Also aerodynamics and wind resistance, for better mileage informs the build of current cars. Plymouth did put out the Prowler from 1997 to 2002, which I think is a throwback of a beauty. A roadster more than a sedan, but still it was done with modern manufacturing. Thanks, very interesting. You pushed more buttons than I have time to respond to. “””The cars were narrower than today, which accounts for the slim traffic lanes on bridges built during that era.””” That explains the Van Buren Bridge now being one way, I guess. Also, the (legally) unbikeable and unwalkable Columbia River bridge at Hood River. For better or worse, we now expect to accommodate people of every size, contributing to the vicious circle of obesity -> car dependence -> further obesity.